14.47mm x 16mm / 0.57in. x 0.63in. 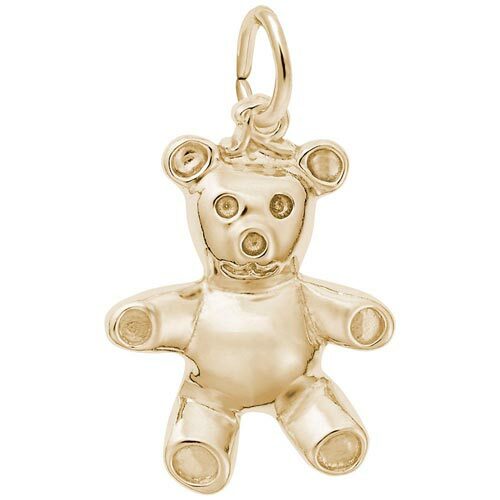 Mom and baby will both adore our Stuffed Bear Charm. Add this charm to any charm bracelet for a fun and playful baby shower gift. Available in silver and gold.